Sparkleen uses low moisture, hot water extraction powered by a Truck Mounted Machine (no portable units) when cleaning your carpets. 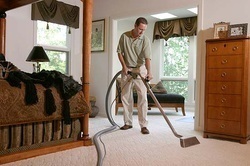 Hot water extraction, also known as "steam cleaning" is a term used to describe a method that involves spraying a hot water solution at high pressure onto the carpet and simultaneously sucking out the water and dirt that comes up from the carpet fibers. Carpet and Upholstery cleaning for 30 years. We use fresh water rinsing on all material. Free estimates. Established in 1982. Family owned and operated for over 30 yrs. We use a high powered truck mount system . All carpets and upholstery are pre-sprayed with a eco-friendly solution and rinsed with only Fresh water, leaving material cleaner longer with less residue and render them safer for children and pets. We also offer Teflon protection, FREE Estimates and discounts. "We're just a call away to make your day"
Copyright ©2019 Sparkleen Carpet & Upholstery Cleaning Services. All Rights Reserved.